Half-Past Eight Studios > FAQs > How do I know what size to order for my bentwood ring? For the most precise measurement, we recommend stopping by a local jewelry shop and have them measure your ring size for you. 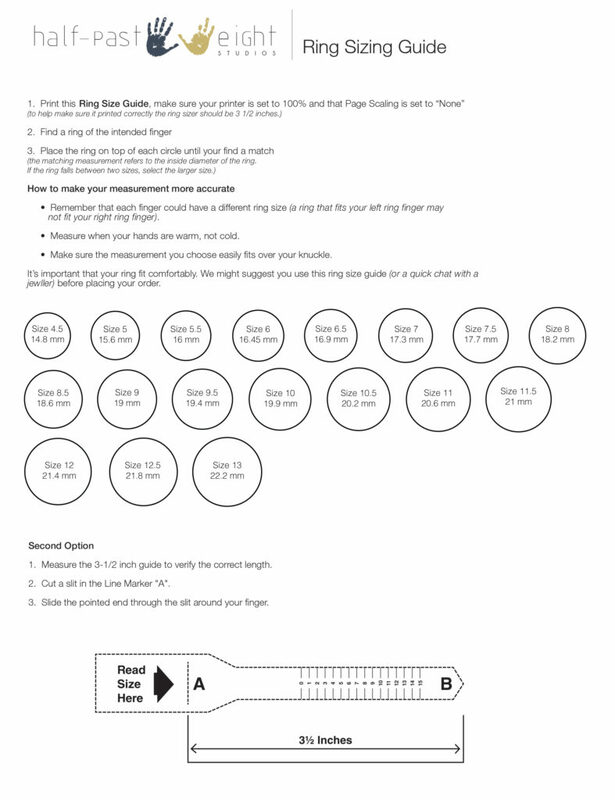 However, we have a convenient Ring Sizing Chart you can download and print to determine your ring-size at home!